Learning to play an instrument well has always been a challenge and in some communities, instructors and tutors are rare or even non-existant. The dawning of multi-media communications, files and tools has enabled a new industry to appear almost over night. 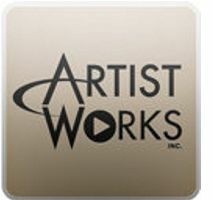 During 2012, we saw the development of ArtistWorks and many that are emulating them. More and more musicians are adding instruction into their revenue stream. A year ago we wrote NAMM 2012: ArtistWorks Presents Next Generation of Music Lessons Online and that next generation has really taken off and is now branching out in many different directions.